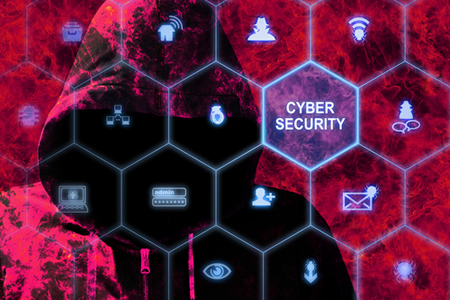 The HHS’ Office for Civil Rights has raised awareness of the risk of advanced persistent threats and zero-day exploits in its spring cybersecurity newsletter. Healthcare organizations are attractive targets for hackers due to quantity of sensitive data they store. Individual’s protected health information is highly valuable as it can be used for many different purposes, including identity theft, tax fraud, and gaining access to medical services. Sensitive information about medical conditions can also be used to blackmail individuals. Healthcare organizations also store research data, genetic data, and data from experimental treatments, all of which are of great value cybercriminals. The information can be used by foreign governments to drive innovation. There are many techniques that hackers use to break through defenses and silently gain access to networks, two of the most serious threats being advanced persistent threats and zero-day exploits. An advanced persistent threat (APT) is a term used to refer to repeated cyberattacks that attempt to exploit vulnerabilities to gain access to information systems. These attacks are often sophisticated, but even relatively simple attacks are dangerous due to their persistence. The aim of the attacks is to stealthily gain access to information systems and steal information over a long period of time. “Advanced” comes from the techniques used to access networks and remain undetected, such as the use of malware. “Persistent” refers to the length of time that systems are accessed and information is stolen. Several APT groups have succeeded in gaining access to healthcare IT systems in the United States and have used that access to steal sensitive patient information and propriety healthcare data. Zero-day exploits – or zero-day attacks – involve the use of previously unknown vulnerabilities to attack organizations. By their very nature, these types of attacks can be difficult to prevent. Since the vulnerabilities are only known to hackers, no patches exist to correct the flaws. Oftentimes, vulnerabilities are discovered as a result of them being exploited. Patches are promptly released to correct the flaws, but hackers will continue to take advantage of the vulnerabilities until systems are patched. It is therefore essential to apply patches promptly and ensure that all operating systems and software are kept up to date. Once a zero-day vulnerability is publicly disclosed it doesn’t take long for an exploit to be developed. Oftentimes, exploits for recently discovered vulnerabilities are developed and used in attacks within days of a patch being released. If patches cannot be applied promptly, such as if extensive testing is required, it is important to implement workarounds or other security controls to prevent the vulnerabilities from being exploited. The use of encryption and access controls can help to ensure that even if access to a network is gained through the exploitation of a vulnerability, damage is minimized. OCR has warned of the danger of combination attacks involving APTs and zero-day exploits, such as the use of the NSA’s EternalBlue exploit. Within days of the exploit being made available online, it was incorporated into WannaCry ransomware which infected hundreds of thousands of computers around the world. A patch for the vulnerability that EternalBlue exploited was released by Microsoft 2 months before the WannaCry attacks. Organizations that patched promptly were protected against the exploit and WannaCry.